False Creek Fuels has a massive selection of premium marine motor oils, fuel and oil filters, and a full host of marine supplies. Ethanol-Free Mid-Grade 89 Octane Marine Fuel. B5 Bio-Marine Ultra Low Sulphur Diesel Fuel. Safety Equipment: Life jackets (inflatable and standard, adult and child), flares, fire extinguishers, etc. Shell Rotella Motor Oils (ALL SIZES) – 15W40, 30W, 40W, 10W30, AW32, and Nautilus. 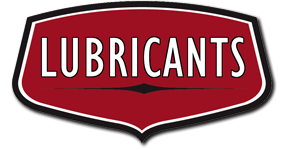 Sierra Marine Oil & Lubricants (ALL SIZES + GRADES). Stainless Steel fasteners – Tapping and machine screws, hex-head bolts, nuts, and washers.